formal brilliance to its significance as an event in 1931 Germany, recapturing the film's extraordinary social and symbolic energy. Interweaving close reading with cultural history, Kaes reconstitutes M as a crucial modernist artwork. 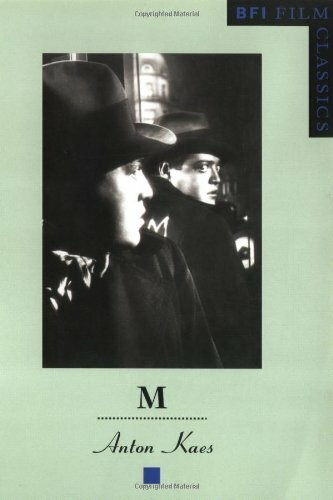 In addition he analyzes Joseph Losey's 1951 film noir remake and, in an appendix, publishes for the first time M's missing scene. Anton Kaes is Chancellor Professor of German and Film Studies at the University of California at Berkeley.